If you happen to pick up the May 2018 issue of British GQ and look toward the back you will find a full page illustration from your's truly. Keith (AD) and I had such a great time on our last project together he brought me in on another. 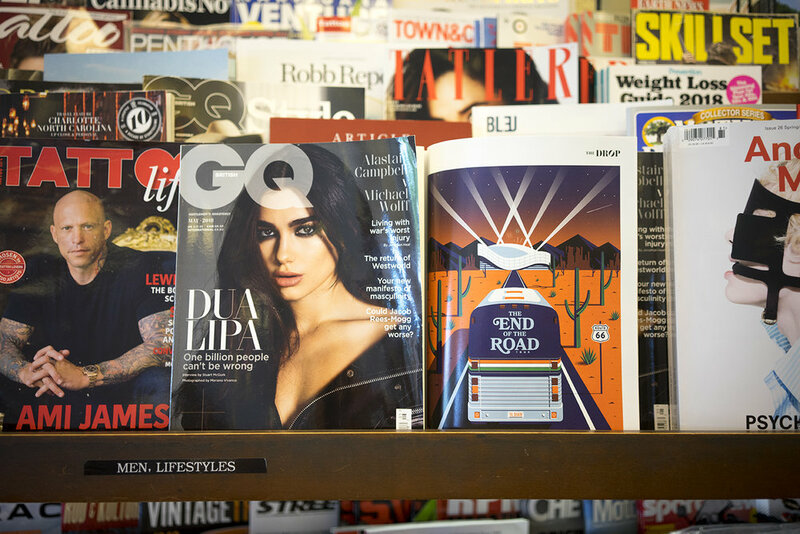 I was definitely down for that, British GQ is a great client. This project highlights the deathly lifestyle of old musicians who continue to tour into their old age and the affects it has on their bodies, in some cases deathly. Keith really wanted me to emphasize a vintage tour bus in the desert heading to it's concert. I took that direction and added to it. What you see is where we landed. You will notice that the first sketch I showed to Keith had a lower horizon, with the stadium on the left and the sunset on the right. 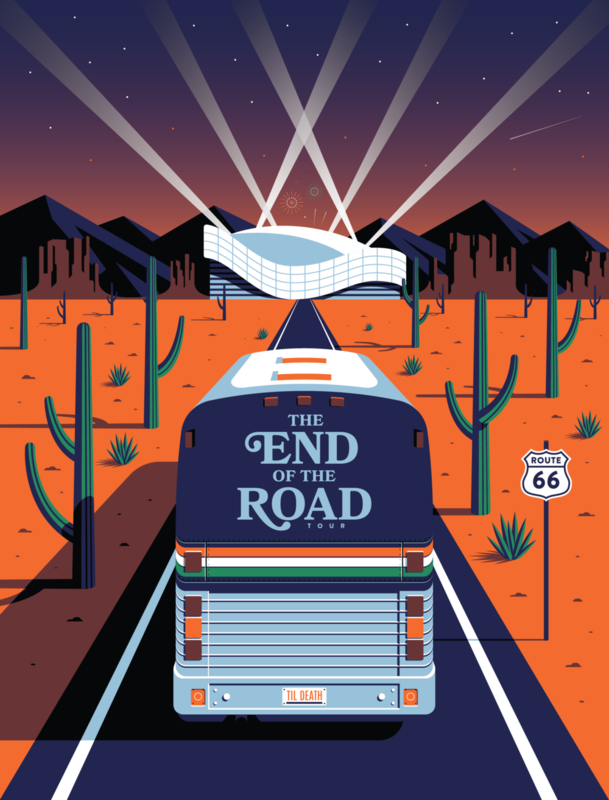 We decided that the Stadium and the bus should both be the focal point of the illustration. The linear composition works much better with the story we are trying to tell. I adjusted and we went to digital immediately after.